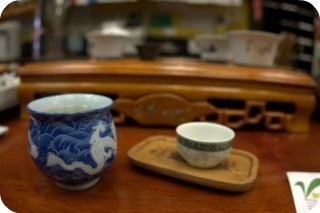 If you love tea, there a few San Francisco Tea Houses that are definitely worth a visit. 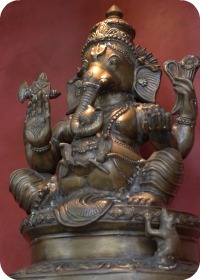 Visiting Samovar is an experience in it's own right. It has a very Zen vibe, with soothing music, warm colors and comfy chairs that invite you to sit down and stay awhile. It’s hip, it’s mellow, and I love to meet here with friends. It's a great place to slow down and unwind, especially if you have been walking around sightseeing all day. And unlike many tea houses that have a decidedly feminine atmosphere, this San Francisco tea house would be a safe place to bring someone who has any aversion to pinks, flowery decor or delicate tea sets! With a large menu of high quality teas, no matter what kind of tea you prefer, you will find something here to satisfy your senses. 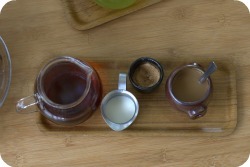 If you like, have a tea-tasting at the bar and get more information about tea than you can probably remember! They also have a yummy food menu that is influenced by cuisine from all over the world - Asia, India, the Mediterranean, and Europe. You can enjoy a bowl of nourishing Jook, or order an English-inspired "high tea" lunch. There are three locations in the city. Try the one in the Yerba Buena Gardens, perhaps after a visit to the MOMA art museum which is right next door. I think it's their prettiest location (although all are cozy), and it's not the kind of place you would stumble upon. You have to know to look for it. This place, unlike Samovar, is a very feminine San Francisco tea house, and I usually see mostly ladies lunching. It's the perfect place to get dolled up, put on a pretty spring dress, and meet with girlfriends for an afternoon of English high tea. It's also popular for celebrating special events, like birthdays, bridal or baby showers. Not to say that men aren't welcome to go, or even that they don't! I'm just trying to help paint the picture. Decorated with mismatched china, dainty cups and lace tablecloths - the character of the place is a sweet mix of delicate and eccentric charm. At LoveJoy's you can order scones with berry preserves and clotted cream, tea sandwiches, and scrumptious petit fours, or dig in to some hearty pub-inspired fare, such as sausage rolls, pasties or shepherd's pie. 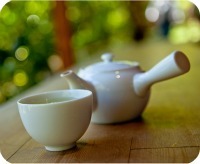 They have large menu of different teas to choose from, with a special emphasis on black teas. It's more about the atmosphere and environment than the tea menu, but they have a few varieties to choose from, as well as some traditional Japanese snacks. If you want to avoid crowds, don't come on a weekend, or an especially warm day. Japanese Tea Garden, San Francisco for more information! This next place that I mention is a very touristy place, but if you find yourself in Chinatown, it can be a fun way to spend an hour. In fact, when my sister and I went the other day, they were surprised to hear that we were from San Francisco! That said, they have some good teas there, which is one of the reasons why we went. My sister wanted to stock up on some more of their tasty "blue" tea. The way it works is that you sit down at the tea bar, and they provide a free tasting of a variety of different teas that they sell in the shop. It was a relaxed atmosphere, and the people working behind the counter were joking around with each other. As they pour the different varieties of tea, they give you information about the proper way to brew tea, as well as special information about each tea, for example, which ones are good for stress, which ones are good for an upset belly, or which one can help you stay looking youthful! Of course this is all done with the hopes that you might purchase one of the teas when the tasting is done, but at least for me, it didn't feel like there was any pressure to do so. You should also know that there is a wide price range in the teas available. You can purchase a quarter pound bag of tea for as little as $5, but they also sell teas that are in the hundreds-of-dollars range. There are two locations on Grant Street in Chinatown, and they are set up very similarly.